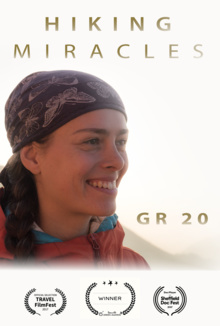 A young girl embarks on a journey along the legendary trail, GR 20. Through her feelings, you can experience what it takes to go 180km in extremely challenging terrain and in constant weather changes. The story begins in a small town named Calenzana, on the island of Corsica. A young girl embarks on a journey along the legendary trail, GR 20. Through her feelings, you can experience what it takes to go 180km away from civilization, in extremely challenging terrain and in constant weather changes. GR 20 is considered one of the most difficult treks on the planet, but one of the most beautiful. A story full of unforgettable moments, is an adventure of 16 days spent in the wilderness.